The Microsoft Certified Systems Engineer (MCSE) credential is the premier certification for professionals who analyse the business requirements and design and implement the infrastructure for business solutions based on the Microsoft Windows® platform and Microsoft Windows Server System. Implementation responsibilities include installing, configuring, and troubleshooting network systems. MCSEs are advanced-level network support professionals qualified to plan, implement and maintain Microsoft information systems in a wide range of 2 computing environments. Certification is achieved by passing seven exams. We offer the seven courses which map to these exams in a continuous series. Each module covers a minimum period of Two (2) months over a minimum of Nine (9) hours per week. This course is to provide individuals who are new to Microsoft Windows 2000/2003 with the knowledge necessary to understand and identify the tasks involved in supporting Windows 2000/2003 networks. This is an introductory course designed to provide an overview of networking concepts and how they are implemented in Windows 2000/2003. 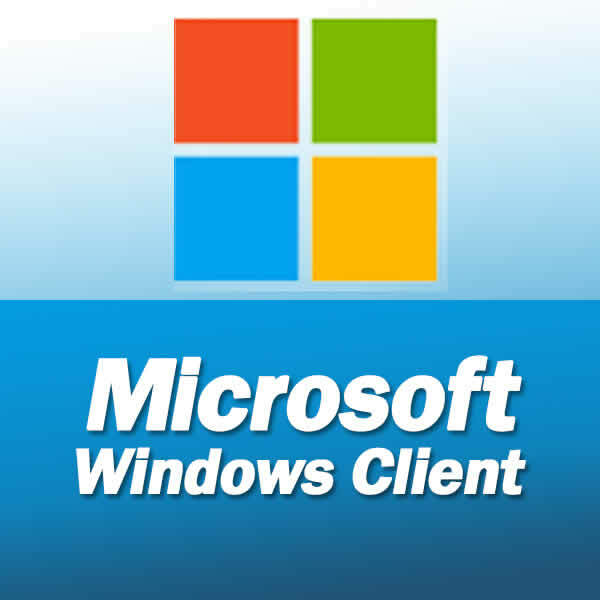 This course provides students with the knowledge and skills necessary to install and configure Microsoft Windows 2000/XP on stand-alone and client computers that are part of a workgroup or domain. In addition, this course provides the skills and knowledge necessary to install and configure Windows 2000/2003 Server to create file, print, Web, and Terminal servers. This course is for support professionals who are new to Microsoft Windows 2000/2003 and will be responsible for installing, configuring, managing, and supporting a network infrastructure that uses the Microsoft Windows 2000/2003 Server products. This course is designed to provide students with the knowledge and skills necessary to install, configure, and administer Microsoft Windows 2000/2003 Active Directory services. The course also focuses on implementing Group Policy and performing the Group Policy-related tasks that are required to centrally manage users and computers. This course provides students with the knowledge and skills necessary to design a Microsoft Windows 2000/2003 directory services infrastructure in an enterprise network. Strategies are presented to assist the student in identifying the information technology needs of an organization, and then designing an Active Directory structure that meets those needs. This course provides students with the knowledge and skills necessary to design a security framework for small, medium, and enterprise networks by using Microsoft Windows 2000/2003 technologies. This course provides students with the information and skills needed to create a networking services infrastructure design that supports the required network applications. Each module provides a solution based on the needs of the organization. Some Microsoft Windows 2000/2003 network solutions require a single technology, such as DHCP, to provide Internet Protocol (IP) address configuration support. In other situations, several technology options exist, such as Open Shortest Path First (OSPF), Routing Information Protocol (RIP), and Internet Group Management Protocol (IGMP), to design an IP routing scheme. Computing has become a very integral part of everyday life in the twenty-first century. From music and photos to banking and communicating, computers have changed the way we work and live. 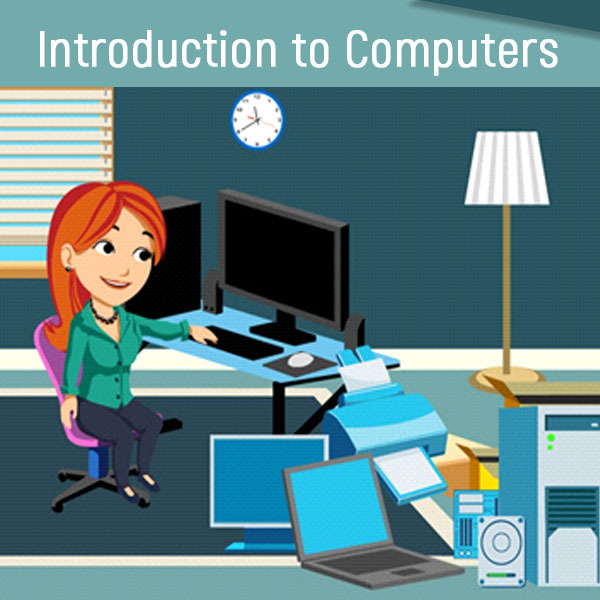 This course introduces you to the fundamentals of computing, explains the components of computer, explores operating system basics, and shows you how to use a mouse and a keyboard. Also explains how computers can be used in different aspects of life. Computers are used in every field. They help organizations and individuals to conduct business transactions effectively and quickly. Today, one of the basic skills necessary to succeed at a workplace is to use the computer. To be able to get better jobs, you need to know how to use a computer. 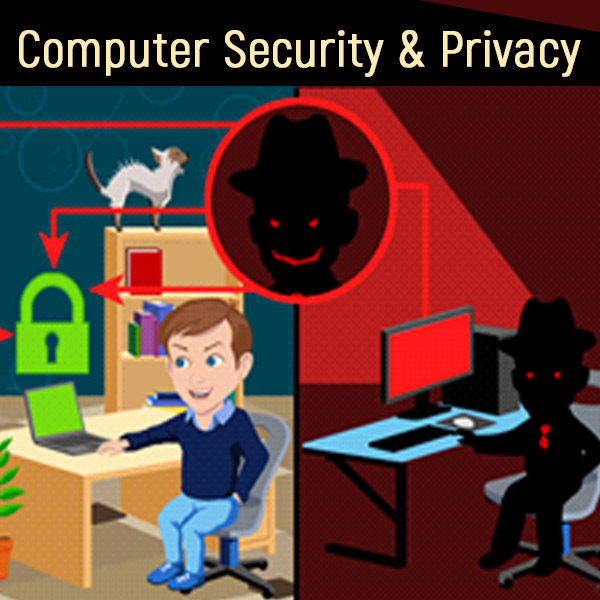 This course helps you to identify the various threats to your computer and the data stored on it. You will explore how to protects your computer from these threats by taking some preventive measures. Finally, this course explains the ethical and legal issues related to internet usage. Productivity are tools that you can use to create documents, presentations’ tables, charts, and graphs. This course explores the most common applications used in business, in education, and at home. In this course, you will learn the features of various productivity programs such as word processing software, spreadsheets, and databases. You will also learn how to select the right software to cater to your needs. 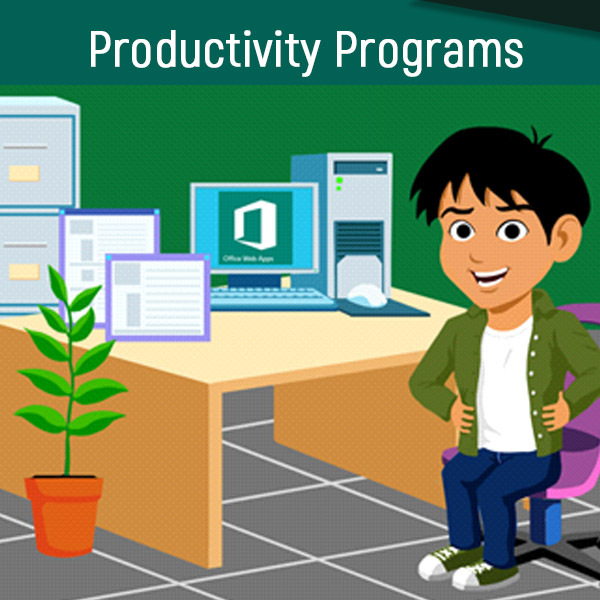 Productivity programs are used in business for schedules, resumes, business plans and more. These programs are widely known and used on basis. In school, students are using applications to write essays, create presentations, and organize their schedule. High schools and colleges have started demanding a typed final essay for grade; forming these applications into a vital part of education. Others may use the applications at home for any other tasks, making these applications a universal tool. From cell phones to MP3 players to digital cameras, computers are changing our everyday lives. This course introduces you to digital technologies, including digital photography. It explores how these and other computing technologies are creating new career opportunities and shaping the world we live in. Digital technology is used in all areas of life today. It has changed the way people work and entertain themselves. 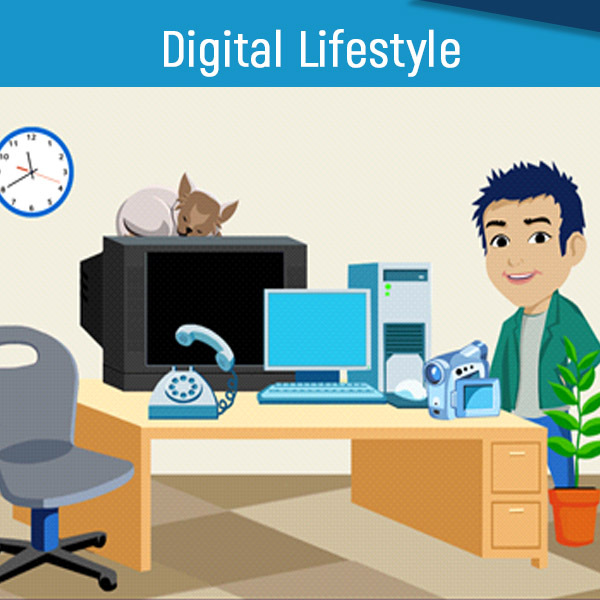 This module explains the scope of digital technology at home, at work, and at play. It also identifies the different career opportunities made available because of the extensive use of computers in various fields. With the advent of internet, the face of communication has changed drastically. Now, you can send email messages with music and pictures to people who may be located anywhere in the world. These messages can reach them in just a few seconds. However to send and receive email messages, you need to create an internet email account. This learning snacks explains the benefits of an email account and demonstrates how to create an internet email account online. 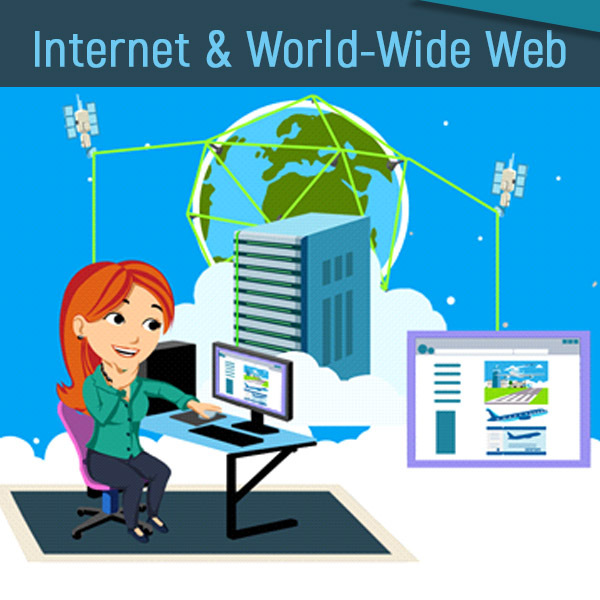 Companies, individuals, and institutions use the internet in many ways. Companies use the internet for electronic commerce, and also called e-commerce, including advertising, selling, buying, distributing products, and providing customers service. In addition, individuals, business and institutions use the internet for messaging, voice and video conferencing and other forms of communications that enable people to telecommute (work away from the office using any enabled device).